Dr Khalifa Abdul Hakim (1896-1959) was a reputed thinker, philosopher and poet who authored twelve books and translated four from English and German. 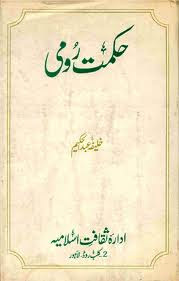 As a thinker he presented Allama Iqbal’s thoughts admirably in his works as well as Mirza Ghalib’s intellectual legacy. 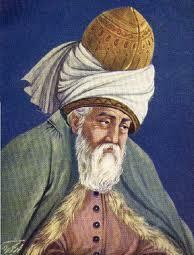 Maulana Jalaluddin Rumi was also his special area of interest. Here few excerpts from his book Hikmat-e-Rumi are added related to Maulana Jalaluddin Rumi's (r.a.) explanation of the topics Allah's Will, Predestination, Working of Fate, Freedom of Choice and Struggle (Jabr-o-Qadar). You clever admins, don't remove it please!!!! Can anybody explain what these comments mean? What the respected reader trying to say? Brother please explain in simple words. Urdu mein likh dain to behter hai kyun k jab tak sawal hi samajh na aye to jawab kaise diya ja sakta hai? Yahan koi bhi kuch bhi comment kar sakta hai but koi logic to ho? Aur aik request aur bhi hai, pehle pura blog parh lain to behtar hai. I think this respected bhai is against our Army and want them to act properly. However assuming he is right then I don't understand if army is that corrupt then why Allah and His Beloved Prophet (SAW) used them in previous wars. I think this shows that neither all the army is corrupt nor all the nation is corrupt (apparently looks like corrupt though) that's why we have all the "bisharaats" otherwise we don't deserve any of these "khush khabries" from our respected elders and sufies. What are your views on collateral damage done due to a drone strikes in Pakistan? these are the vary strikes sanctioned by our top brass in the army? Do you consider people living in those northern areas where the drone operation is under way "Pakistani"? Now to all respected bloggers here that is: @MAJ, @Hussain, @Tariq, @Faisal Farooq, @Baktar e Noor, @Dr Urooj, @mnak.nabeel and many more. Just think for a moment, if God forbid any blogger's immediate relative had suffered severe injuries or had died (shaheed) by a drone strike what would be your sentiments? It is very true that Sufi and Saints have given us predictions that is fine and we should read them, spread them and be "pur-umeed" this is all good...BUT will you all much respected folks agree with me that in general we have become very BEHISS log. BUT...kabhi kabhi to dil bohat roota hay or shidat say arzo karta hay kay kaash woh din bhi ab jald ayay jab hum ghazi bhi banain. I know I did bored all of you but please my intention was not to disrespect anyone here...I was just trying to give another rukh of the tasweer. Yehi to uper aricle mein btaya gya hai aur yehi baat to mein posts ke through bta raha hun k Pakistan musalmanon ne is liye hasil kiya tha k yahan adal o insaaf par mabni Islami nizam qaeem kiya ja sake, but picle 65 saal mein Western democracy + dictatorship ke jaal phaik kar logon ko bewakoof bnaya ja raha hai. Honest log hain magar woh iss system ke through kabhi uper nahin aa sakte. Jab tak top leadership honest+eligible nahin ho gi halaat theek nahin ho sakte. Ap ki ye baat kuch ziada saheh nhi hy k drone attacks Army ki marzi sy ho rhy hein. Hmaray Air chief ny kafi martaba kaha hy k hmaray pas in drones ko counter krnay ki technology hy but Govt. permit hi nhi kr rhi. Ap ko yaad hy last year US k Abottabad operation k baad jb parliament main in-camera meeting hui thi, tb bhi Air Chief ny yehi kaha tha k agr Govt. order kry tu hm drone attack rok sktay hein. But kisi politician ko itni jrrat nhi hui k ussi waqat Prime Minister ko kehta k ap abhi Air Force ko orer krein. yahan tk k opposition parties walay bhi araam sy bethay rhy. ye tu haal hy hmari Govt. ka, wo America ka khatay hein un ko kesay nuqsaan pohancha sktay hein. Bs ghor krnay ki baat hy k kin Pakistnioon k dil main apnay mulk sy muhabbat hy aur kon hein jin k dil Europe aur America k sath milay hoay hein. رونا کمزوری کی علامت ہے. ہم کو اللہ کی عبادت کے وقت رونا چاہے لیکن ہم کمزور انسان ہے ہم کو ظلم و جبر دیکھ کر رونا آ جاتا ہے . یے بھی ایمان کا حصہ ہے. ڈرون حملے اور افغانی بھائیوں کا قتل عام دہکھ کر رونا آتا ہے مگر زیادہ رونا جب آتا ہے تب مسلمان دوسرے مسلمان کو قتل کرتا ہے . فرقوں کی بنیاد پر قتل اسلامی تاریخ میں کبھی نہیں ہوا جو اب ہو رہا ہے وو بھی گلوبلی . شرک کے بعد سب سے بڑا جرم قتل کرنا ہے. Mai aap ke Aksar khiyalat sey agree karta hon.Aajkal saray muslims ke halat bohat afsosnak hai.Hum sab ko behtari ke liay kaam karna chahye aur dosron ko bhe behtari ke targheeb dena chahye. Yahan par mai MAJ brother ke sath agree nahi karta MAJ"Ap ki ye baat kuch ziada saheh nhi hy k drone attacks Army ki marzi sy ho rhy hein." Brother meray khyal se drone hamlo mai america ko hamari fauj ke kuch na kuch madad hasil hai.Aap log zara yaad karain ke salala attack ke baad hamaray army chif sahib nay kaha tha ke agar iss ke baad pakistan ke sarhad ke khilafwarzi hoi to fouj ko ijazat hai ke wo drone waghera gira dain,magar hum nay dekha ke ye bhe aik siasy byan ke tarah hawa mai orrh gia.Agar fauj jesay idaray mai bhe rawaity sayasat bazi shori ho gai to ye apni credibility kho day gi.Aaj drone hamlay bhe jari hain aur sarhadon ke khilaf warzi bhe ho rahi hai. Agar Pakistan drone girata hi, apni geographical salimyat ke liay to america kuch bhe nahi kar sakta.kyonke UNO ke forum pe bhe Pakistan ka case mazboot hoga ye baaat UNO ke chartar mai shamil hai ke member mumalik aik dosray ke sarhadon ke khilafwarzi nahi karaingay aur har mulk ko apnay sarhadon ke difa ka haq hasil hai. Agar america kisi ko mujrim samjhta hai to osko chahye ke wo oss ke khilaf court se rajo karay aur mujrim sabit honay ke baad oss ke khilaf karwai karay.ye na ke aap dusray mulkon mai ghous ker wahan per berehmana bombing karin aur asal target ke sath kai begunah bachay aur oratain bhe mar dain.dunya ka koi kanon iss ke ijazat nahi deta. Kuch brother beja tor par fauj ke har mamlay mai tarafdari kartay hain, iss ka ye matlab nahi ke mai fauj ke khilaf hon, balke mira matlab ye hai ke fouj ka kaam ye hai ke wo mulk sarhadon ke hifazat karain aur har shehri ke jan o mal ka difa karay. Iss ke liay osay kisi ke ijazat ke zarorat nahi. Farz karin ke agar india hum par attack karta hai to phir bhe aap naihal hukumat ke ijazat ka intizar karingay? Apnay meri comments kyon remove kardyay? I haven't said anything against no one...just asked a simple question. Not removed, sometimes comments appear after little delay. Wrong comment, mein ne to aj tak Harun Yahya pe comment kiya hi nahin, kyun k mujhe uss ke bare mein ziada information nahin hai. Culprit is me who posted links of Harun Yahya. It is my limitation that I only know Harun Yahya. My knowledge is very limited. His all text is available free. I can find easily any information from his material. 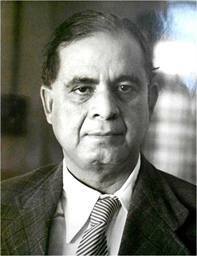 I also study Dr Israr Ahmed but his material present mostly in long audios and videos which I cannot paste. @"OS PE TU ILZAM BI HAI KE OS KE SATHI IMAM MEHDI KEHTE HAI"
Ilzam tu Ilzsam hi hota hai. Harun Yahya key kisi official saathi ney nahi kaha key wo Imam Mahdi hai. Aik teenager fan ney un ko email ki key us nahi Khuwab main un ko Imam Mahdi dekha hai tu we naraz hoey aur kaha ke Khuwab Wahi key braber nahi hota aur ager hum khawabon per yaqeen kerney lagey to buhet sey nabi aur mahdi peda ho jaey gey. Harun Yahya ney Qassem Khai hain key ager unho ney zendagi main kabhi kaha ho key wo Imam MAhdi hai to un per curse ho. I have posted this video many times. @"OS KE BOLNE SE AISE LAGTA HAI JESE WO HI HAI"
Fana fi Shaikh ki waja sey wo Imam Mahdi legtey hai. Wo her waqt Imam Mahdi key mutaliq boltey hai tu hum ko aysa legta hain. Shiekh Nazim said only Adnan Oktar is expert in Imam Mahdi in whole world. Is ki Gawahi tu main bhi de sekta ho jo un ko kafi saal se parh raha hai. Baidzuzzaman Said Nursi per bhi yahi Ilzam laga tha keynkey unno ne bhi Imam Mahdi per buhet kaam kia tha. @ Admin, please do a post just on this video. I am surprise that this baba was so Bebaaq, confident in what he said in the video (link below) and something tells me that his words are yet another warning from spirtual world. I have added this video in latest post, Please visit today's post. We, this world, our Pakistan, our leaders and our enemies have no link with eating forbidden fruit by prophet Adam (as) and mother Eve (as). They were not driven out of the paradise because of forbidden fruit. Their come to earth was predestine before their creation to test them and to test all mankind. This world is preparation for hereafter. Allah approved their repentance when they were in Paradise. Bible says God cursed them but Quran says Allah forgave them and guided them.